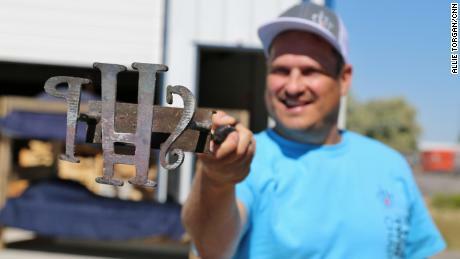 A simple project to help a family in need stopped Luke Mickelson in his tracks. In 2012, he and his family were inspired to build and donate a bunk bed after learning there were local children who slept on the floor. Born and raised in Idaho, Mickelson, now 41, was a high school quarterback-turned-family-man. A churchgoer with a thriving career, he coached his kids’ sports teams and fished in the nearby river. But when he met children who were sleeping on the floor, his idyllic life changed course. Using safety guidelines and his daughter’s bunk bed as a template, Mickelson started buying wood and supplies to build beds with his own money. He recruited friends and family members to help around the holidays. As word spread, interest and involvement from his and other communities surged — along with Mickelson’s bunk bed output. Mickelson set up a formal charity, complete with training courses, construction manuals and local chapters so communities from coast to coast could join the movement. 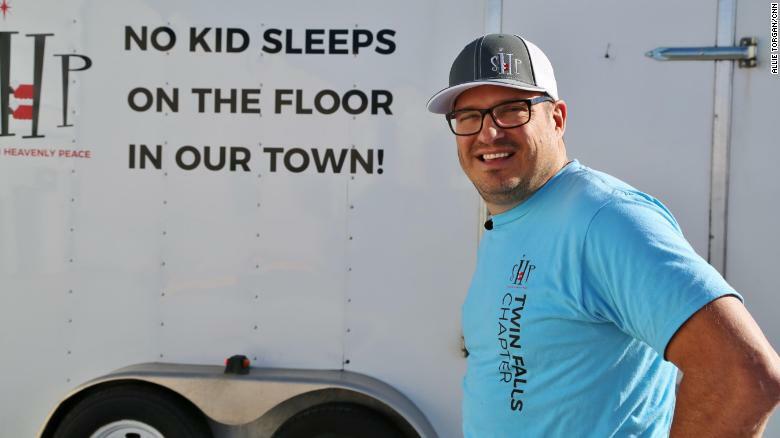 With the motto “No kid sleeps on the floor in our town,” the nonprofit and its more than 65 chapters have built and delivered more than 1,500 free beds to children across America. CNN’s Allie Torgan spoke with Mickelson about his work. Below is an edited version of their conversation. Luke Mickelson: These kids that we serve in our community come to us from all walks of life. They didn’t get into this situation because of their choices. Often, they take their clothes off at night, put their pajamas on, and sleep on top of their clothes. And then they just repeat that cycle every day. We have a lot of situations where single parents are escaping an abusive situation. A lot of foster care situations, where parents or grandparents or brothers and sisters are trying to help. A lot of homelessness, people trying to get back on their feet. A $300 or $400 bed is just out of the possibility for them. CNN: How do they find you? Mickelson: For someone looking to apply for a bed, they can go to our website and click on “Request a Bed.” Once that application gets filled out, based on the zip code of the recipient, it goes to the closest chapter president, then through a vetting process. Right now, we average over 25 applications a day, nationwide. We don’t have any paid staff right now and we’re growing like a weed. We’re keeping up with that the best we can. CNN: You quit your job and take no salary from the nonprofit. How do you make ends meet? Mickelson: I quit my job of 18 years because I wanted to do this full-time, or at least as much as I possibly could, because I knew the need was big. It just came to a point where I could see that my passion really is helping these kids. It was gratifying to see my kids and my family be involved with it and help them learn the value of service, but also seeing everybody else feel and see that joy from helping kids get off the floor. It’s contagious. I was very fortunate to have another company offer me a job. Granted, I took a huge pay cut, but it helps me get by and helps me do what I need to do with Sleep in Heavenly Peace. They’re very understanding of what my passion is. CNN: How do the children react to their new beds? Mickelson: When we deliver a bed, that’s where the rubber meets the road. We make sure that they understand that, “This is your bed. This is yours. This is a possession of yours,” you know? The underlying tone is, “We’re here for the child.” You walk in and these kids are just so excited. They want to help build it. They want to run the drills. They want to bring in wood. Just giving a kid a sense of ownership, a sense of responsibility, as well as a good night’s sleep, is tremendous for them. They learn how to take care of things. They learn value. They get confidence — and they get a good night’s sleep. Want to get involved? Check out the Sleep in Heavenly Peace website and see how to help.